No tablecloth is necessary with this table. 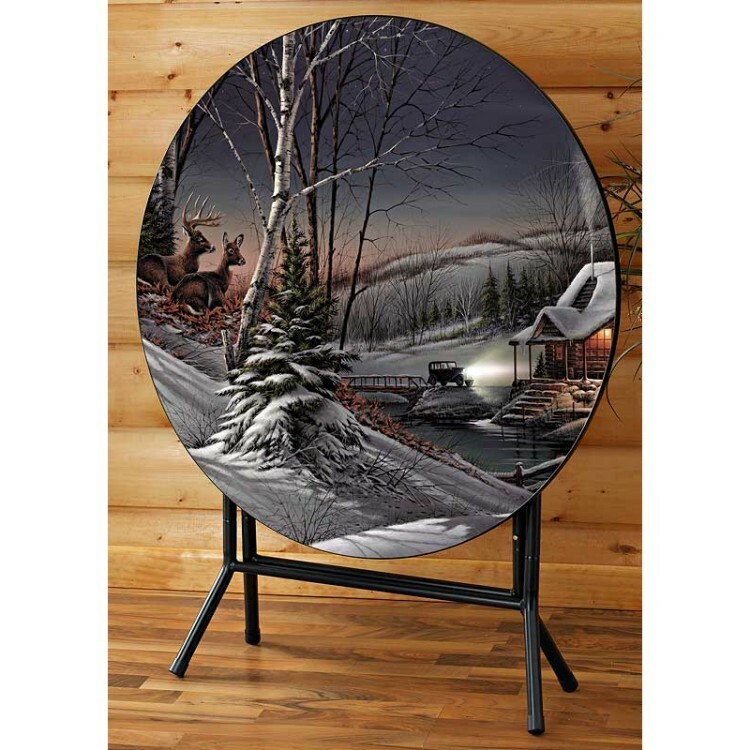 The Evening with Friends Folding Table featuring Terry Redlin's exquisitely detailed evening cabin artwork is too beautiful to hide. The top is a durable UV polycarbonate laminate with a non-glare finish. 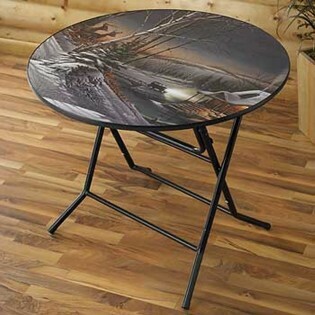 No tablecloth is necessary with this table. The Evening with Friends Folding Table featuring Terry Redlin's exquisitely detailed evening cabin artwork is too beautiful to hide. The top is a durable UV polycarbonate laminate with a non-glare finish. Base is tubular steel for maximum stability, folds to only 9" deep.